Is Winter a Good Time to House Hunt? 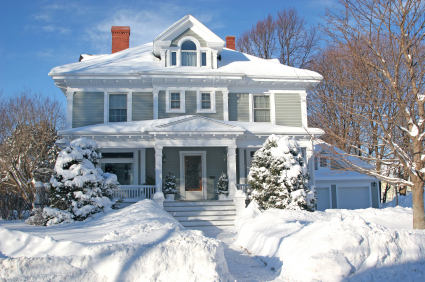 Is winter a good time to house hunt? Many first time home buyers ask us when the best time to search for a home is. The honest answer is, there can be pros and cons to shopping during any time of the season. It really comes down to your personal situation. Will I have less competition in the winter? Many first time home buyers don’t want to house hunt during the holidays. So if you’re willing to undertake your search during this time, you will most likely have less buyers to compete against. Are there any down sides to shopping in the winter? Absolutely! Just as many first time home buyers don’t want to buy during the holidays, many sellers also don’t want to sell during the holidays. So even though you may have less competition, you’ll probably also have less to chose from as well. So when should I buy? It really depends on your situation AND your specific housing market. You should start looking for a home, when it makes sense for you. Also, you should be consulting with a real estate professional about YOUR SPECIFIC MARKET! It is possible to have less buyers and more sellers in the winter in one demographic, and the exact opposite ratios at the exact same time of year in another demographic. Don’t make the biggest financial decision of your life without getting educated! If you’d like to gather more information about when to buy in your area, or the home buying process in general please go to our Calendar/Reservations page and register for one of our FREE First Time Home Buyer workshops.